California Livin Home: Map it! 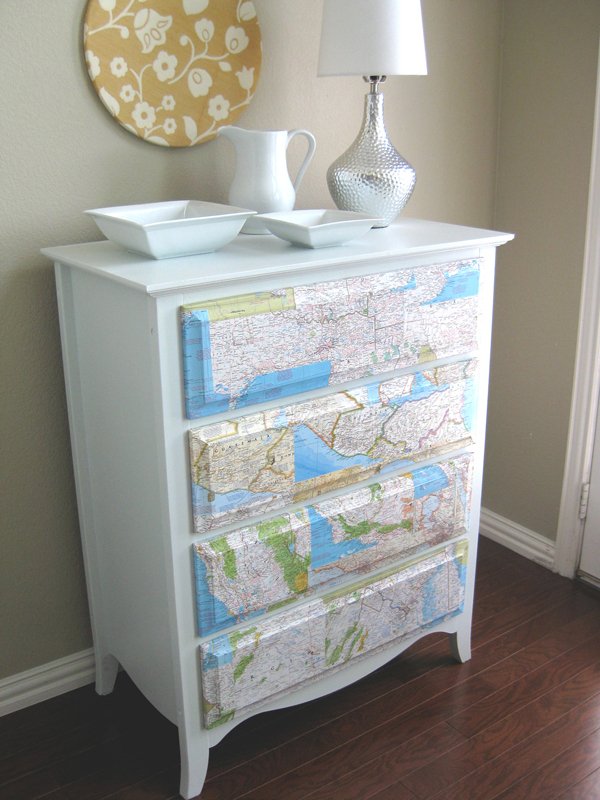 Fun & Eclectic way's to Re-Purpose those old maps! Map it! 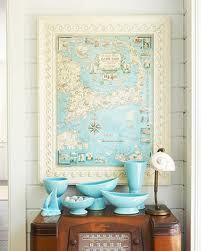 Fun & Eclectic way's to Re-Purpose those old maps! Frame one of your travels! I don't know about you, but in our car's and home's we have a few road map's that we have collected over the years from our travels. Let's see, we have California of course, Northern & Southern, Texas (for his family trips) Oregon, beautiful coastline, Alabama, oh yes we were there just last year for my husband’s job, and so many more! 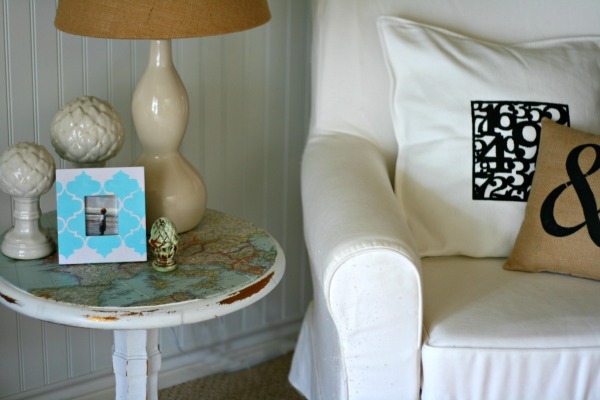 Ever wonder what to do with those maps once you have used them? Don't throw them out! Are they wrinkled and crinkled and have smudges? No worries. Re-Purpose them in your home decor. 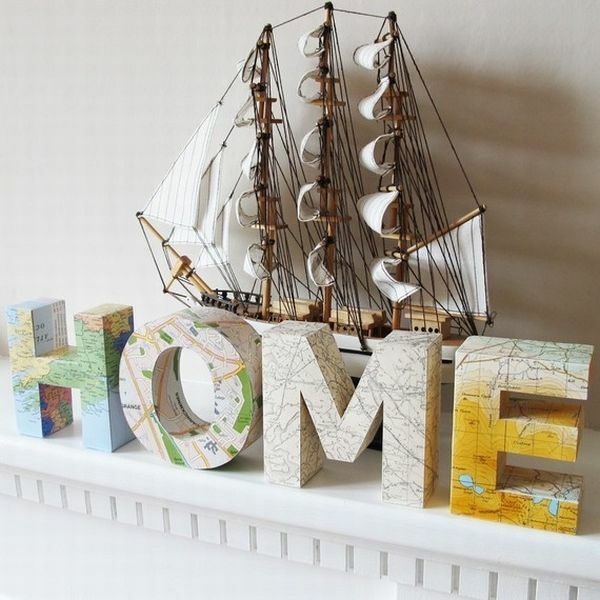 That's right; use them to add interest to an otherwise simple or plain piece of furniture, frame or cut-out letters. The possibilities are endless! I love this one! Remember It does not have to be perfect. Cut your pieces and glue - DONE! Chippy little side table with a decoupaged map top. Brilliant! or how about that old dresser you were getting ready to donate? Map it! Look to see what is laying around your house that can be re-purposed. Bet you can go out to your car right now and find maps you have not used in years, not to mention all that stuff you have in the garage and attic!